“Horse racing causes injury and death for thousands of horses every year. Horses are often pushed far beyond their natural limits leading to serious injuries. And when they cease to be competitive, they are discarded. It’s not about doing the best for the horses, it’s about human greed.” said Chris Simcox, spokesperson for Animals Tasmania. “Horses are not property, they are sentient beings, like humans, pigs, cattle and dogs. They think, feel and suffer. And they each have very real intrinsic worth. It is time humans started treating all nonhumans with respect and understanding.” said Mr Simcox. 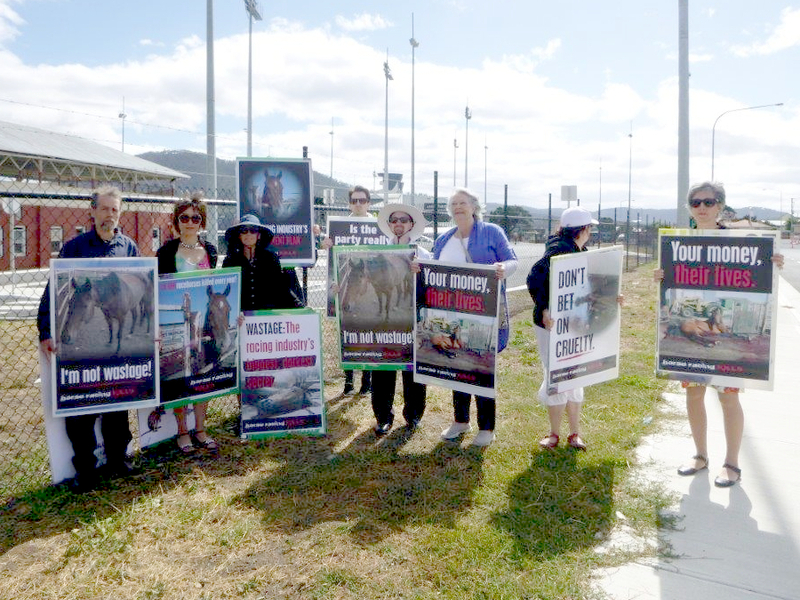 Member of Animals Tasmania will be at the Hobart Cup today to remind punters that they are participating in the abuse and suffering of horses.